Columns belong to frames i.e. clusters of columns and beams and the behavior of their founda-tion depends upon the interaction between the frames and the soil. 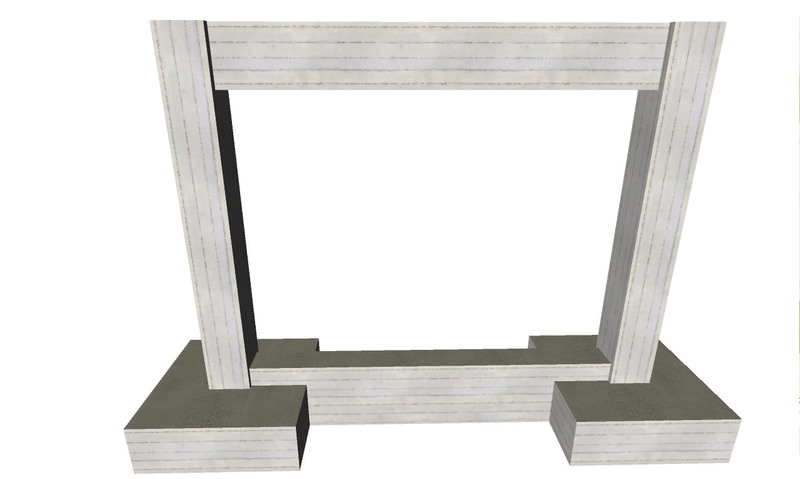 It is important to examine the frames’ behavior in relation to the foundation and soil. 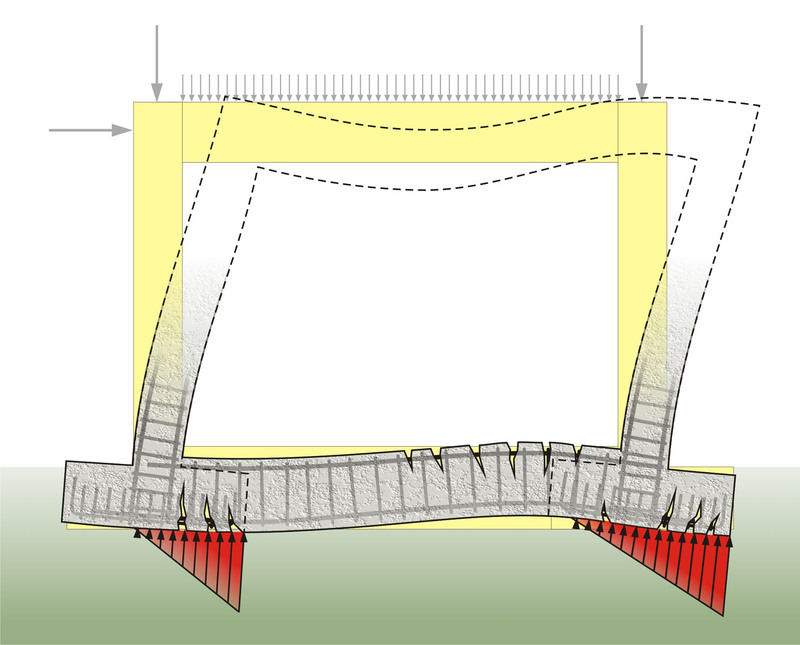 Two-column frame with centric spread footings "project: foundation110"
When no seismic forces are applied, the soil pressures have a slight trapezoidal form and the spread footing is subjected to severe rotation. When seismic loads are applied, the two spread footings are heavily over-stressed and they are forced to ‘work’ partially thus leading to large soil pressures. When the earthquake forces shift direction, there is a symmetrical change in the spread footings’ over-stressing. 1. In case of an earthquake, a large part of the footing cannot work in the required way. All spread footings have almost the same behavior (boundary spread footings are slightly over-stressed), as shown at the following figure. "project: foundation115"
2. 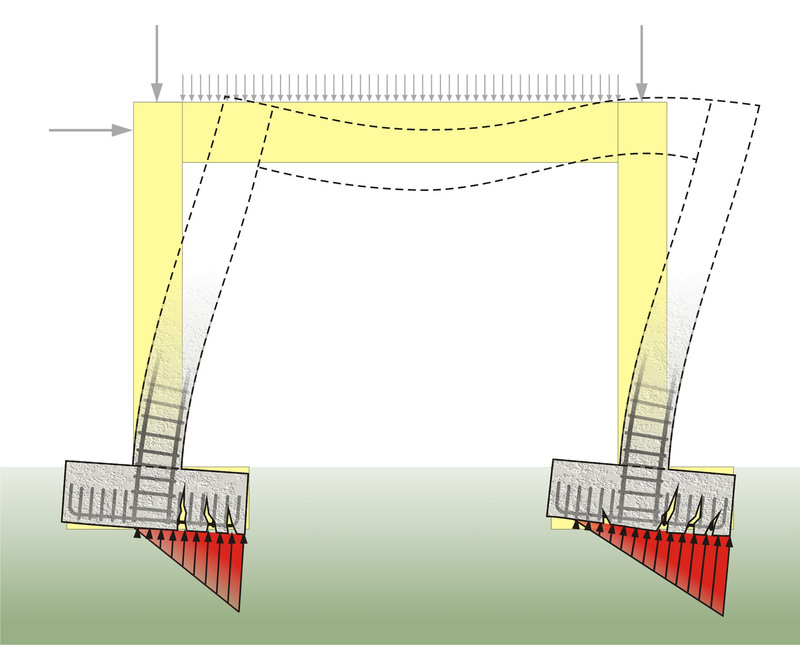 According to the present regulation, the use of spread footing untied by connecting beams is not allowed. 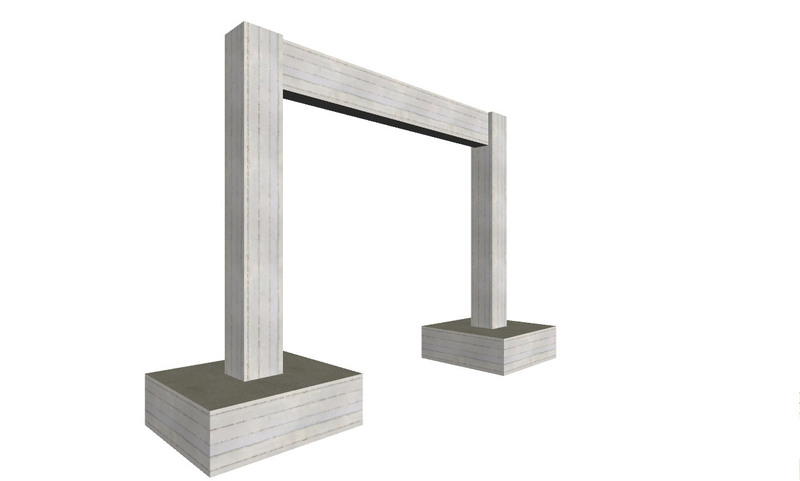 Generally, it is useful to place connecting beams at the foundation because they carry the hori-zontal shear forces and prevent damage from differential settlements. However, in earthquake resistant structures, they are not just simply useful but absolutely necessary because apart from everything else, they centerline the spread footings and secure the fixed support of columns to a high degree. 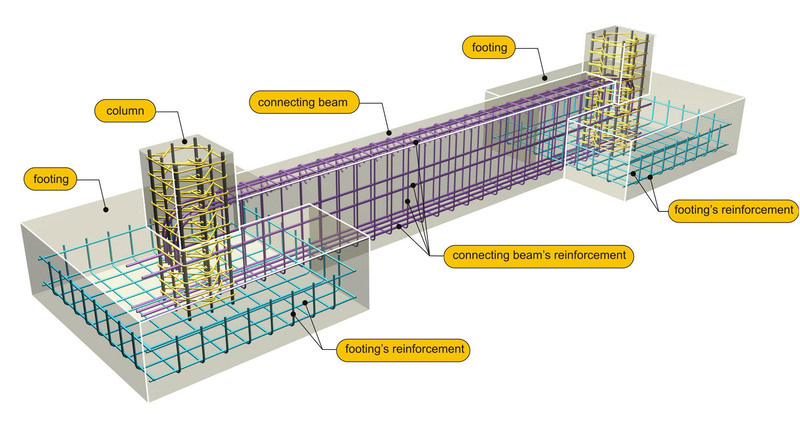 The following figures shown the behavior of spread footings tied together with connecting beams. 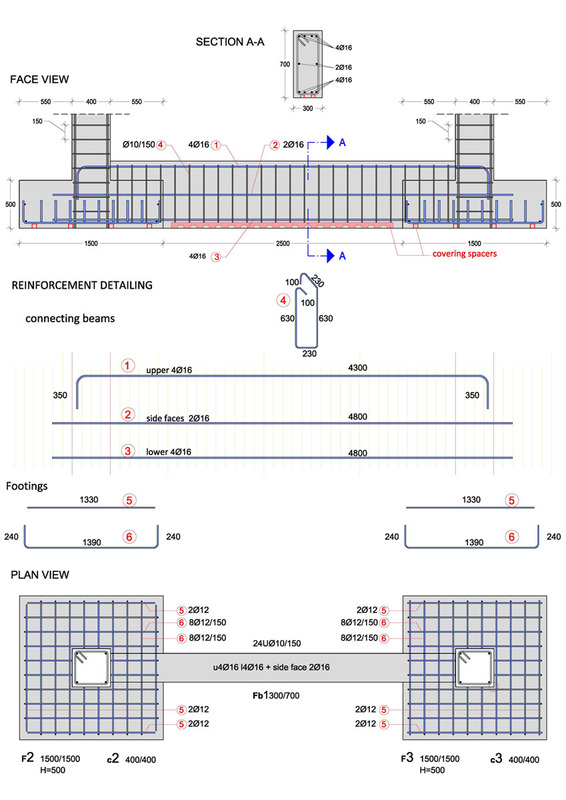 Two-column frame with spread footings and connecting beam "project: foundation120"
When no seismic forces are applied, the soil stresses have an almost orthogonal form and the spread footings together with the connecting beam are roughly deformed. During an earthquake, both spread footings work in a satisfactory level. The one is over-stressed thus creating larger soil pressures while at the same time, the other one is relieved. When the earthquake shifts direction, the stress conditions reverse. 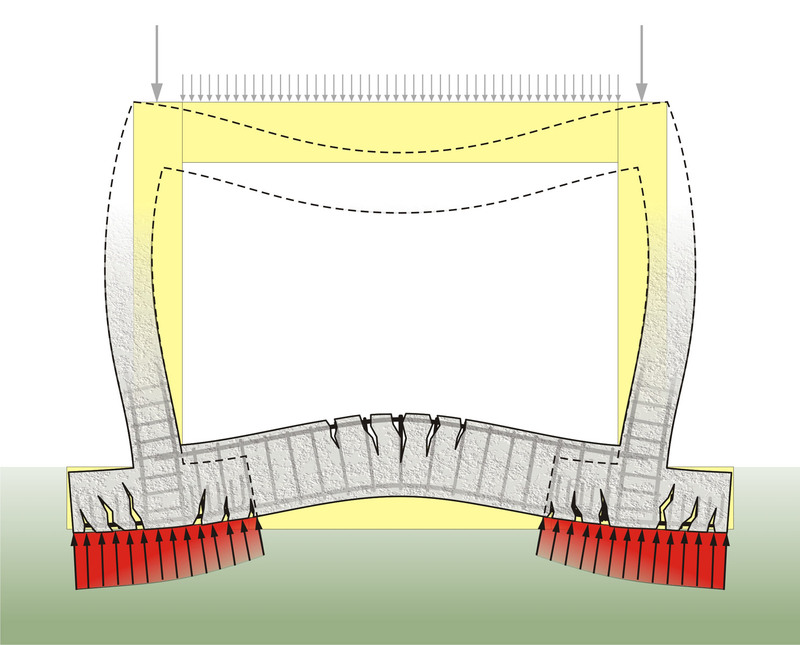 The connecting beam is subjected to large and continuously changing deformation and stresses. 1. 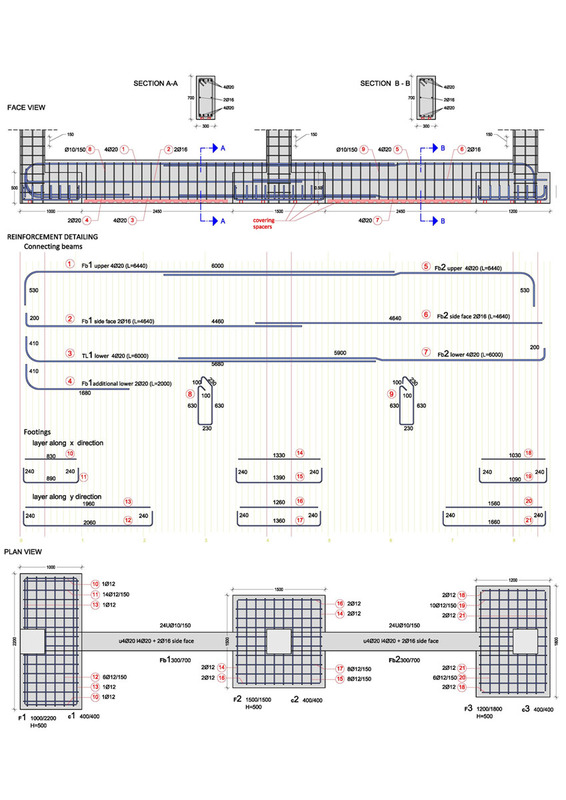 In a multi-column frame with spread footings and connecting beams, the behavior of the former, in a seismic event, is satisfactory. The boundary spread footings are over-stressed (or slightly under-stressed depended upon the earthquake’s direction). "project: founda-tion125"
2. 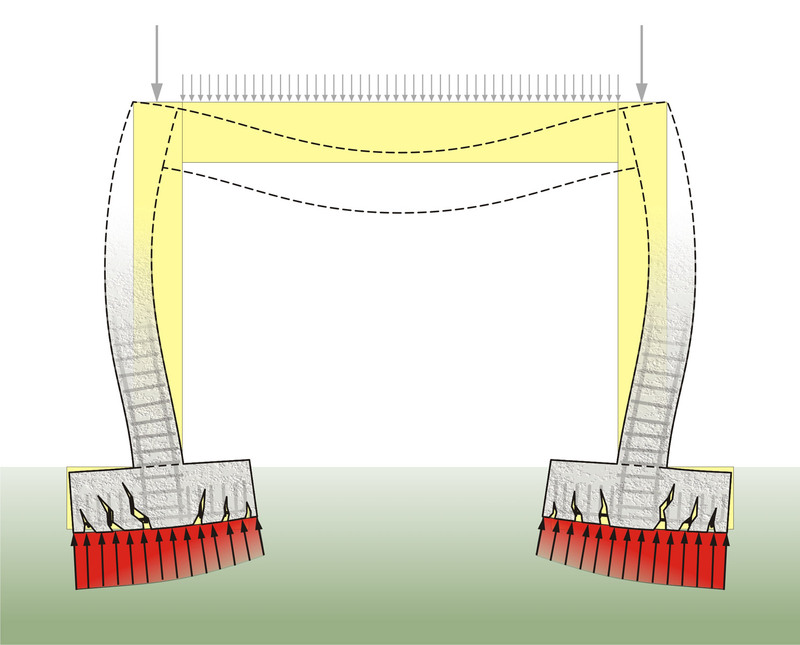 The earthquake causes reverse stresses in every part of a connecting beam thus applying almost the same flexure at the upper and the lower fiber. Foundation reinforcement of a two-column frame "project: foundation121"
In case of more than two continuous spread footings and consequently more than one connect-ing beams, the reinforcement follows the same rules mentioned above. Reinforcement of a continuous connecting beam "project: foundation130"
Extending the footing away from the edge column is extremely useful for the proper behavior of the spread footing (it levels the stress distribution) and therefore, must be aimed when it is con-structionally feasible.